With 25 cm of fresh snow fallen over the last 7 days, we are offering superb gliding conditions. The freezing rain that we got last Sunday did not slow down our grooming team: they kept working their magic on the slopes. They are currently working the runs in depth. Thankfully, the thin layer of ice that formed in the glades has protected the snow and preserved ideal conditions for off-piste enthusiasts. You may have noticed that days are getting longer and sun rays are filling the hearts of skiers and snowboarders with joy. The weather forecast for the upcoming days is ideal and we are expecting good weather for the school breaks. To maximize the number of runs you make in a day, refer to the ski lift waiting times on the illuminated sign located at the summit. With 48 modules and 3 snow parks, thrill seekers will be pleased. Our Park team is working toward reaching at least 50 modules in the upcoming weeks. 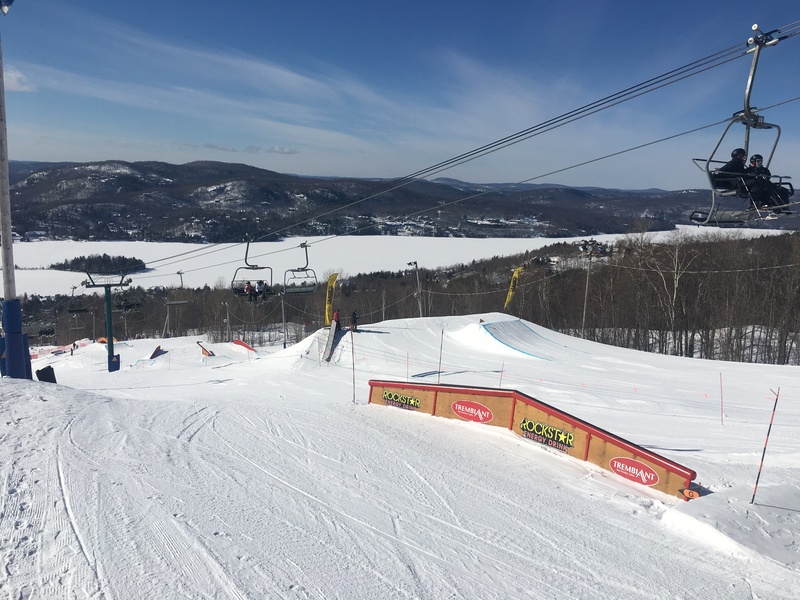 On March 24, Tremblant will host the 3rd edition of the ROCK & RIDE ROCKSTAR event, presented by Adrenaline Park and Rockstar. The team is fine-tuning the modules to offer an exceptional course specifically designed for the event. Come and try our remodeled snow park for this special day and join us for the unveiling of our brand new Rockstar module that was created for the occasion. Remember, whether you are with family or friends, it is important to act responsibly and safely for yourself and for others. Check our Code of Conduct and Safety on the Mountain to safely play in Tremblant.